For the holiday angler, this is ideal as the many caravan and camp sites that are located close by mean that the venue is within easy reach. Summer months can see the place literally crowded with anglers, but at night it may be less busy. A lot of the fish can be taken very close in, so distance casting is not necessary and care should always be taken from this venue, especially from the higher ledges. Autumn and winter fishing offers the chance to catch whiting along with flounders and small codling, but during the summer months, mackerel, flatfish, dogfish, wrasse and pollack is what attracts lots of anglers during daylight hours. Night rods will find sport with conger eels. Standard beach gear is advised here where lugworms will find fish in the winter. Try tipping with mackerel for whiting sessions. Fish baits like sandeels, bluey’s and mackerel will catch most of the summer species, but try peeler crabs for wrasse. 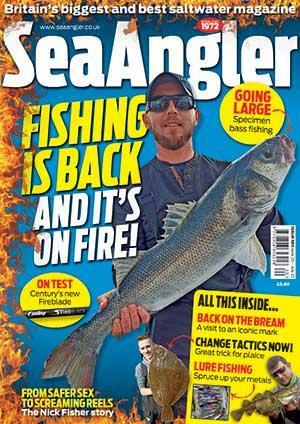 Using mackerel flappers or fillets in darkness is a good tip if you’re after the conger eels. From the Menai Bridge into Anglesey, take the A5025, where Benllech is at the tip of Red Wharf Bay.